As a 15-year-old, I was obsessed with the concept of time. Is time finite? Why do we remember the past, but not the future? Do we exist in a universe where there is no end to time? How did it all begin? I came across Dr. Hawking’s A Brief History of Time and while many of my schoolmates were reading The Nancy Drew Files and The Babysitter’s Club, I hunkered down in my basement and dove into the structure, origin, development, and eventual fate of the universe. At last I had found someone who could help me grapple with the concepts I’d been struggling so hard to comprehend. Not many people understand these things and reading Dr. Hawking’s book was a way to begin to scratch the itch inside me to discover more about it. I learned many things from the book but I wanted to know more which drove my desire to study physics and major in it in college. I earned my PhD in Theoretical Physics from Cornell in 2000 and watched many of my fellow graduates go to Wall Street and become management consultants. That didn’t appeal to me. I wanted to use math and the understanding of the physical sciences to make predictions about the world. I then met Colin Hill who had been using statistical physics approaches in biology and I thought it was fascinating and interesting and something I’d like to do. We then founded GNS with the idea of tackling biology, smart math, and big data to come up with unprecedented insights. One of the breakthroughs at this time was the sequencing of the human genome, a monumental event that changed how we could now measure everything in more detail using genomes. Dr. Hawking felt this was the key to solving many of the complexities of life. It became clear to me that these biological tools would help find the answers to many biology questions and there was Dr. Hawking saying the same thing. It just reinforced the connection I felt with him. It’s interesting to reflect on the fact that we have lost him to a complex disease like ALS and to ponder what we could have done for him if he was diagnosed today with all the biological advances we have. We might have him still with us. It’s ironic that the approaches he discussed around modelling complex systems outside of physics and engineering can now be brought into healthcare to help solve the disease that took him from us. Even battling the insidious disease, he was able to let us peer into his mind through his computer. Doctors gave him two years to live when he was diagnosed at age 21. To have survived this long, accomplish so much and be able to reach people right to the end is a testament to the power of his spirit and mind. Perhaps the biggest tribute we could provide to Dr. Hawking’s memory would be to unravel the devastating disease that is ALS. We have the power today to collect all kinds of data from genomes to molecular profiles to clinical records. We need to mine that data by leveraging causal machine learning to find causal drivers of the disease that we can then target with the latest breakthroughs in gene therapy, regenerative medicine, and many other therapeutic modalities. We need to do it quickly so no one else runs out of time. 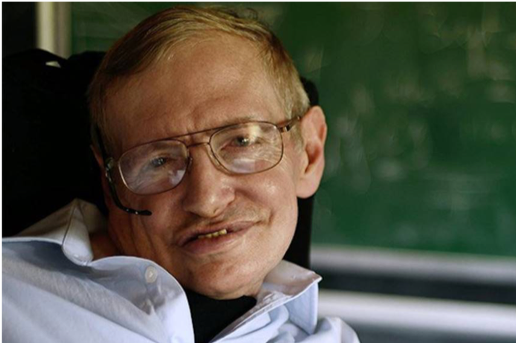 Hopefully his loss will reinvigorate our efforts to get to the level of depth and quantitation that Dr. Hawking applied to his many endeavors. I’m saddened when I think about losing a mind like his. There was probably another 500 years of insight that would have benefited our world. Many scientists are working on longevity and extending health and life spans. Dr. Hawking is an example of why that effort is worth it. You might think that living to 76 is a ripe old age, but it is way too soon. We’ve lost an amazing individual and we can only be thankful that we had him for the brief time he was with us.